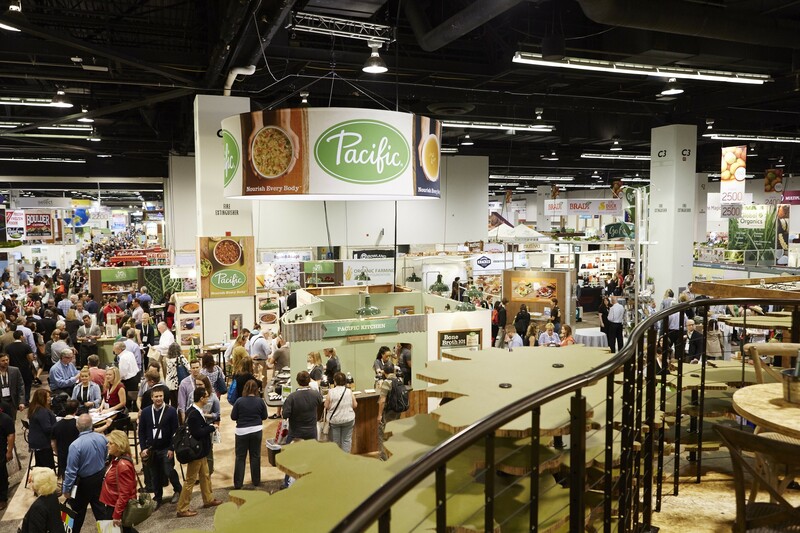 Expo West, the largest natural products trade show in the United States, takes place annually at the Anaheim Convention Center, and 2016 marked its biggest year of growth yet, with 3,000 exhibiting companies (including more than 600 first-time exhibitors) and 77,000 attendees. The massive, sprawling event has grown so large it encompasses the entire convention center and has now spilled over into the adjacent Hilton and Marriott hotels. The natural products industry is currently exploding with innovative products that emphasize sustainability, lifestyle, nutrition, transparency and convenience. Products that use simple ingredients, whole and sprouted grains, dye-free colors and flavors, and “natural” forms of ingredients (cane sugar or honey in place of refined sugar, etc.) were prevalent at the show, as was a continued move away from fillers, stabilizers and preservatives. Walking the Expo West floors, you’ll see a mix of everything from small mom-and-pop startups to massive industry players such as Bob’s Red Mill and King Arthur Flour. Young companies use Expo West as a launching pad for their businesses while more established companies strive to keep up with ever-changing consumer demand. The overall industry has seen a shift in consumer opinion in which food is judged not only on its flavor, but also as something that contributes directly to our health and well-being. Many consumers now look for organic products with short ingredient lists, and knowing the story behind each product’s creation is becoming very important to them. Our favorite part of Expo West is that it provides a “sneak peek” of what to expect from the natural products industry. This year’s event introduced a number of interesting trends we saw repeatedly throughout the show. One particularly hot trend was innovative vegan and gluten-free products. For the second year in a row, these products continue to expand and push boundaries in terms of taste and texture. Miyoko’s Kitchen introduced vegan butter made from coconut oil and cashews as well as a cashew-based “mozzarella” that puts regular milk-based cheeses to shame. 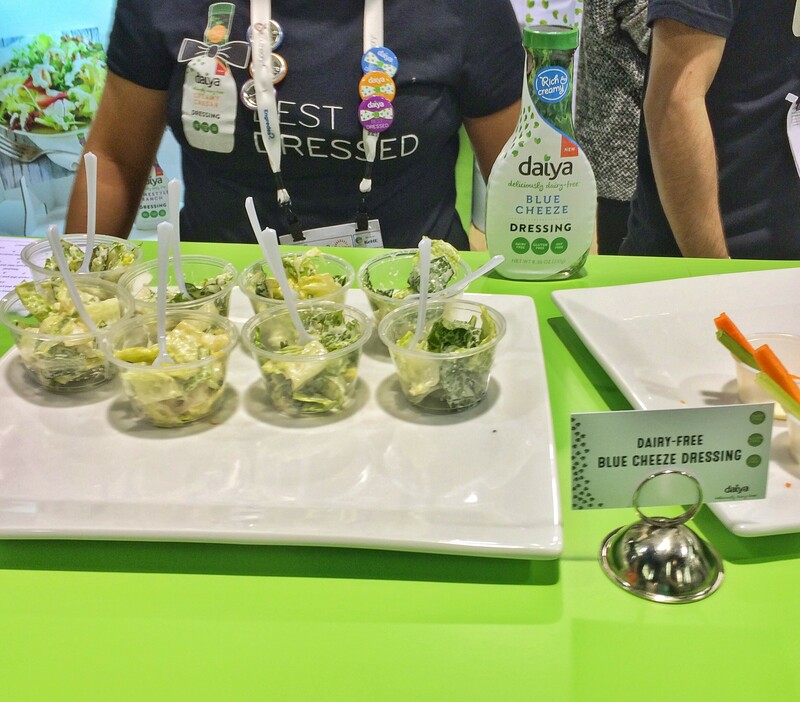 Vegan dressings from Daiya Foods in blue “cheeze,” Caesar and ranch were exceptional in both flavor and dairy-like creaminess. Amy’s Kitchen, known for its vegetarian products, introduced a cheese and black bean enchilada meal made with plant-based vegan cheese. Desserts made with a focus on healthful ingredients are on an upward trend. Standouts included Cookie Dough’s grab-and-go raw brownie dessert, which is made with whole grains and has the added benefit of being low glycemic. Enjoy Life Foods’ ProBurst Bites™ are protein-packed vegan truffles that are also free of the top eight allergens. Dark chocolate spreads from Freedom Foods, Pascha Chocolate and Nutiva offered a healthful, creamy spin on Nutella. Vegan premade frostings from Miss Jones Baking Co. and Wholesome were so unbelievably creamy they made us double-check the ingredient list. Companies are looking beyond almonds to make nondairy milk products, using cashews, macadamia nuts, pecans, pistachios and even vegetables to create creamy milks. Notable entries from Nutraw Foods and NüMoo Foods (pistachio milk), Malk Organics (pecan milk), Milkadamia and Suncoast Gold (macadamia nut milk), and Veggemo (pea protein milk) are blazing new nut- and plant-based trails. Nuts also invaded the snack aisle in unique ways thanks to several companies that introduced nutrient-rich nut-based dips and spreads. Examples included a probiotic cashew spread from Leaf Cuisine, almond spreads from La Onda and a cashew hummus from Hail Merry. Oats were another notable ingredient at the show. We saw protein-packed oat-based meals and sides from Grainful, while portable oatmeal cups were on hand from Modern Oats and Bob’s Red Mill. GF Harvest’s new GoPacks make office oatmeal a real possibility. They’re designed for use with a Keurig machine: Simply tear open the top, fill with hot water (4 ounces), stir and enjoy. These packs are six inches wide and 1 inch thick and fold flat for easy transportation. 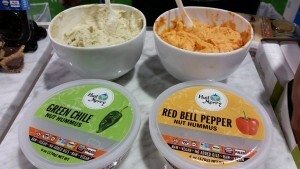 Vegetable-based products were another hot trend at the show. Jica Chips, made from jicama, serve as a new alternative to potato chips. Packing that same satisfactory crunch, they contain more fiber than oatmeal, as much potassium as bananas and are also low glycemic. 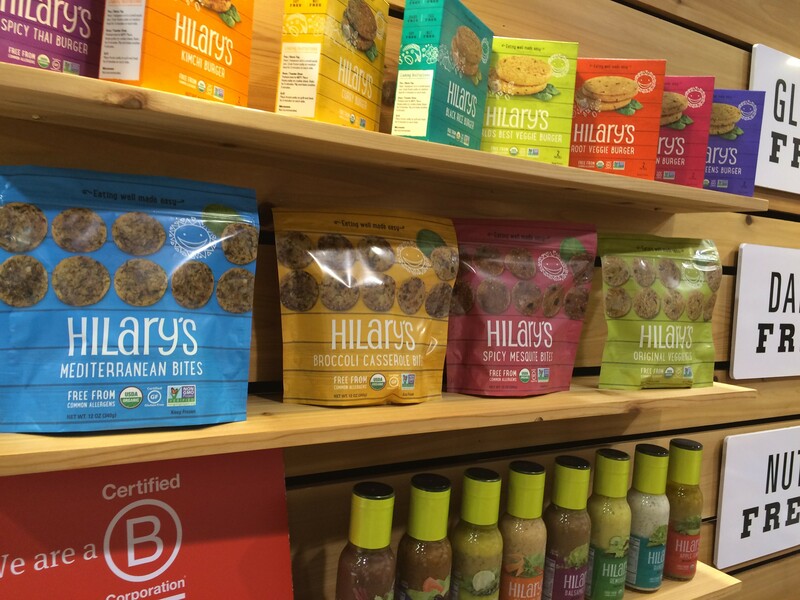 Belicious combines fruits, grains and veggies to create nutritional on-the-go pouches loaded with fiber and protein. 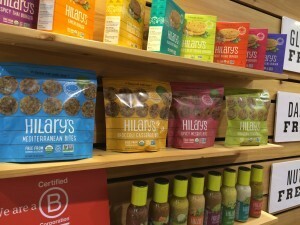 Hilary’s Eat Well introduced new veggie bites—available in Mediterranean, broccoli casserole and spicy mesquite—provide quick, healthy snacks for busy individuals. Veggie Fries, which combine carrots, broccoli, chickpeas and beans, were another notable contender. Probiotics had a huge showing at Expo West, showing up in everything from flavored waters to granola. “Gut health shots” from Farmhouse Culture and kimchi shots from Wildbrine put consumers in control to make gut health a priority. Eat Pops showcased a line of “good for you” fruit- and vegetable-based frozen popsicles that are designed to nourish the body and maintain gut health. The natural products industry continues to surprise and inspire with its creative spirit to keep reaching higher.